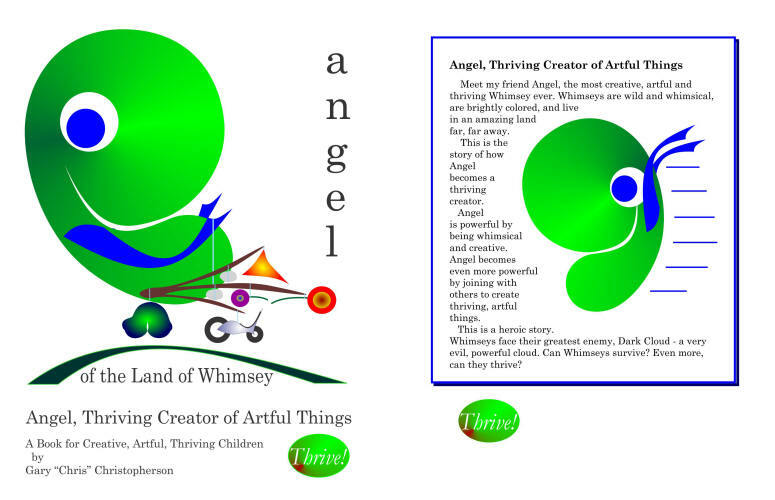 Angel - Thriving Creator of Artful Things, a children's paperback book, is available for purchase via Amazon.com or as free download [PDF - 14 MB]. Copyright 2011 & 2019. Gary "Chris" Christopherson. All rights reserved.